The Pittsburgh Penguins scored four goals in the 2nd period and three more in the 3rd, to wallop the Rangers. 7-2, Wednesday night at The Garden. The loss snapped New York’s two-game winning streak. Seven different players scored for Pittsburgh. Zach Aston-Reese, Jake Guentzel, Kris Letang, Dominik Simon, Evgeni Malkin, Tanner Pearson, and Sidney Crosby, all scored. The Penguins have now won seven straight games. The seven goals allowed was the third time this season the Blueshirts had allowed that many [Oct. 7 at Carolina, a 8-5 loss, and Nov. 15 at the Islanders, a 7-5 loss]. The 1st period was scoreless. The Blueshirts actually out-played Pittbsurgh, displaying a strong, fast, and feisty style. Things went south in the 2nd. Henrik Lundqvist left the game in the 3rd period, after giving up six goals on 18 shots. Ryan Strome and Pavel Buchnevich scored for the Rangers. The Rangers [now 17-15-7, 41 pts] hit the road, for a game Friday in Denver against the Avalanche. Craig Anderson made 27 saves for his 41st career shutout, and the Rangers’ offense was held without a goal for the second time in four games, as the Senators beat the Blueshirts, 3-0, Thursday night in Ottawa. The Rangers have now lost three of their last four games. In October, the team had two separate streaks where they lost 4 out of 5. Henrik Lundqvist stopped 31 of 34 shots. 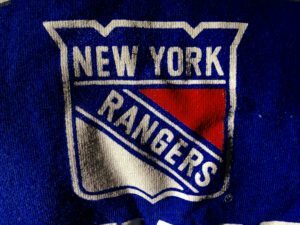 The Rangers had beaten the Senators, 4-2, Monday night at The Garden. Ottawa got goals from Drake Batherson and Magnus Paajarvi in the 1st period, and one from Matt Duchene in the 2nd period. Neither team scored in the 3rd. Vlad Namestnikov and Mats Zuccarello missed the game with injuries, and Brendan Smith actually played as a forward on the 4th line. 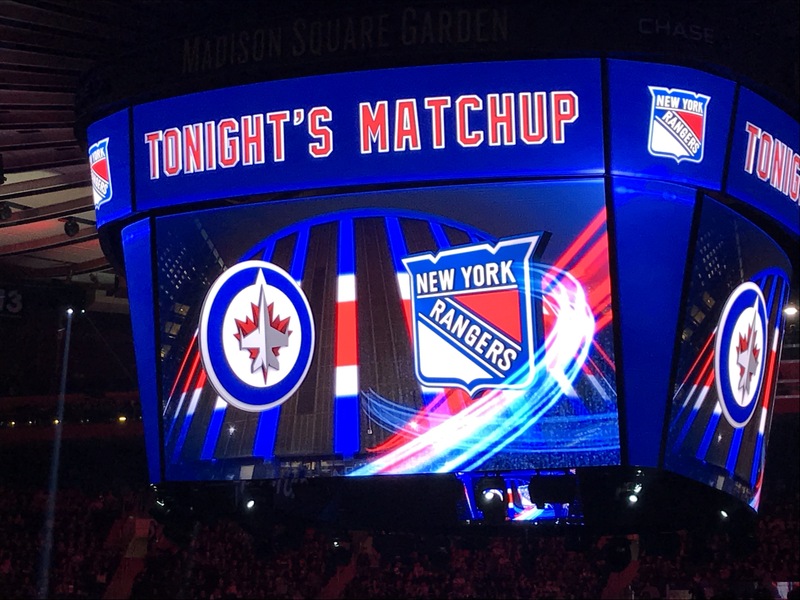 The Rangers [now 13-11-2, 28 pts] play the Canadiens Saturday night in Montreal. Two days after Alexandar Georgiev and the Rangers blanked the Islanders, 5-0, for their first shutout of the season, the Blueshirts were themselves shut out for the first time; the Flyers blanked New York, 4-0, Friday afternoon in Philadelphia. Filip Chytil‘s goal-scoring streak ended at five games. Henrik Lundqvist played valiantly, making 42 saves. Sean Couturier scored twice for the Flyers, including an empty-netter with 1:37 to play. Travis Konecny and Jordan Weal had the other Philadelphia goals. 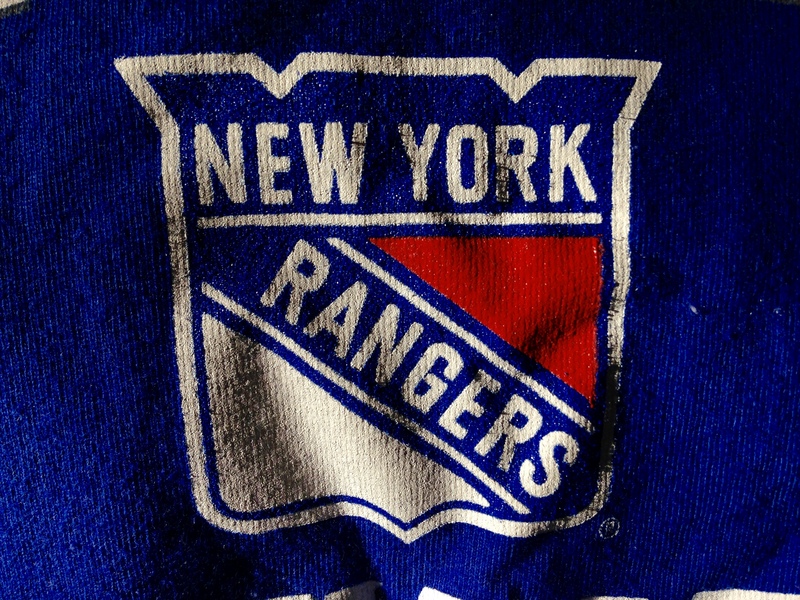 The Rangers [now 12-9-2, 26 pts] host the Stanley Cup champion Washington Capitals Saturday afternoon at The Garden. The Rangers scored early and often, and Alexandar Georgiev made 29 saves to post his first career NHL shutout, as the Blueshirts blanked the Islanders, 5-0, Wednesday night at The Garden. The Rangers have now won seven straight home games. The Rangers got three goals in the first 8:04 of the 1st period to take a 3-0 lead, and never looked back. 19-year-old Filip Chytil scored for the fifth straight game, scoring just 29 seconds into the game, to give the Blueshirts a 1-0 lead. Cody McLeod scored his first goal as a Ranger at the 3:30 mark to make it 2-0, and Neal Pionk‘s blistering snapshot for a power play goal at 8:04 made it 3-0. Kevin Hayes made it 4-0 late in the 2nd period, putting a backhander past Robin Lehner at 17:17. And Chris Kreider‘s laser beam from a tough angle with 3:41 to play gave the Blueshirts their final 5-0 margin. It was Kreider’s 12th goal of the season, tops on the team. He now has four goals in his last four games. Mika Zibanejad and Kevin Shattenkirk each had two assists. Kreider finished with a goal and an assist.